Pinterest isn’t just about pretty images for wedding planners and party organisers. Pinterest is about creating images that are beautiful, striking, attractive and images that lead to interesting content (although they also have to be visually attractive). 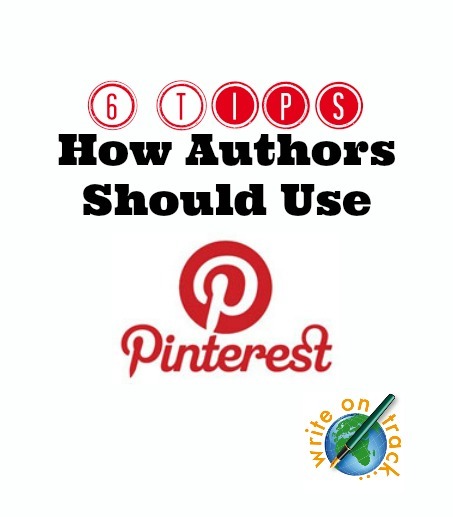 Hence, Pinterest is a very useful tool for authors in more ways that you might imagine. You can create a secret board on Pinterest ( 3 secret boards are allowed) when you are planning and writing your book. Use it to create a mood board for your locations, your book cover ideas, your illustrations and your characters. If you are describing the location for a scene, find some atmospheric images of beautiful hills or spooky cobwebbed derelict barns to add to your board. When the book is published, you can change the board from secret to public and use it to publicise your book. Readers will find your thought processes fascinating. Carmel Harrington used this to great effect for her book ‘Beyond Grace’s Rainbow’. It can be a good idea to write book reviews on your blog. If readers are checking out your book reviews, they will be more inclined to buy / read / talk about your book too. It can be a nice way to build up relationships with other authors too. Pin your blog posts to a ‘book reviews’ board on Pinterest. The link will always be to your blog posts no matter how many times the pins are repinned. Pin book-related material to specialised pinboards too. Examples would include ‘Book Covers’, ‘Book Shelves’, ‘My Favourite Books’, ‘Books for Kids’, ‘Book Reviews’, ‘Books worth reading’, ‘Libraries’ and of course, you could focus on specific genres too ‘Crime Books’, ‘The Best Romance Books’, ‘Irish History Books’ ……. By pinning your own books to as many relevant boards as possible (spread out over time and intermixed with plenty of other pins), you are maximising the coverage for your own works. Ensure your boards are titled with relevant keywords so they are easy for others to find. 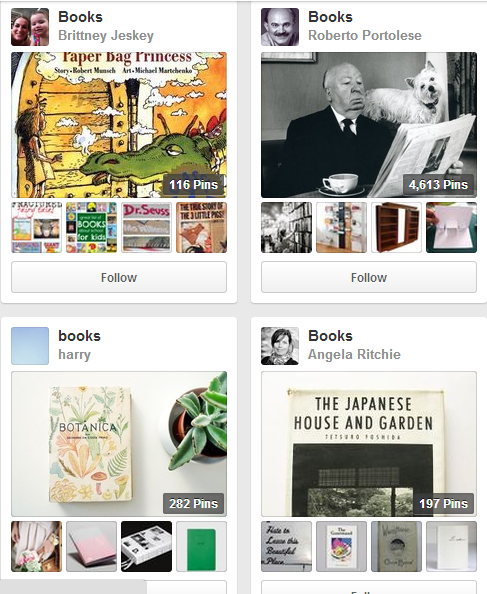 Follow other writers and book reviewers on Pinterest too. Remember you can follow their book related boards only if you wish to do so. Comment on some of their pins and work on building that relationship. 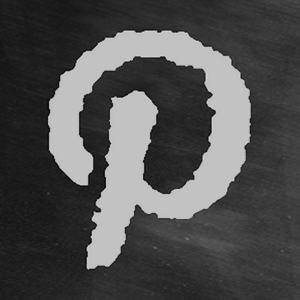 Repin their pins too – Pinterest is about sharing, not for promoting your own content. Create ’Writing Tips’ or ‘Writing Quotes’ boards too – pin any relevant material to these boards. If you are viewed as a curator of useful and interesting material for other writers, your followers will grow. Never just pin your own stuff, be generous and pin or repin material from others. View yourself as a curator of good content and the followers will grow. Create a shared board and invite some other writers and/or book reviewers to contribute. They have to be following you back on that board (or all boards) before you can invite them so work on creating some good content first. Shared boards that provide interesting content really help to build your reputation. People spend significant time on Pinterest looking for inspiration be that for decorating their bedroom or looking for suggestions for a good book. 70 million people are using Pinterest and all of your own pins will link to your website hence the potential for growing your traffic and sales is enormous. You will find that you will learn nuggets of information from Pinterest too. Happy pinning. 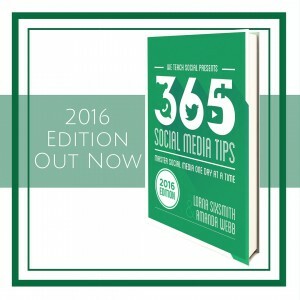 Do check out my post ‘Tips for Self Publishing Your Book‘ too. Our next online Pinterest for Beginners course starts on Monday and the Advanced starts on 3rd March. More info here. Pinterest is ideal for book authors, if for no other reason than how well book covers show. Even better if an author can develop some form of illustrations that convey some of the scenes or locations or characters of their books, to keep the pins rolling. Agree, it’s a good test re the book covers. I have a lot of illustrations in my book (about 20). I really must make more use of them on Pinterest. Truly great insights in using Pinterest as a Pro!! 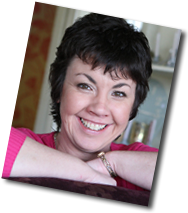 It is going to definitely help authors in getting great exposure.